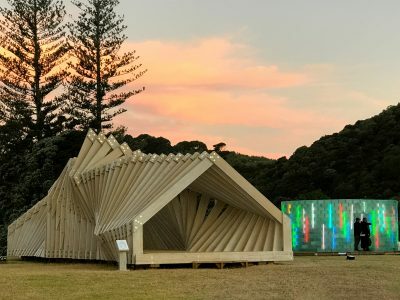 The Waiheke Gateway Pavilion washed ashore of Matiatia Bay forming a ceremonial entry to 2017’s Headland Sculpture on the Gulf exhibition. 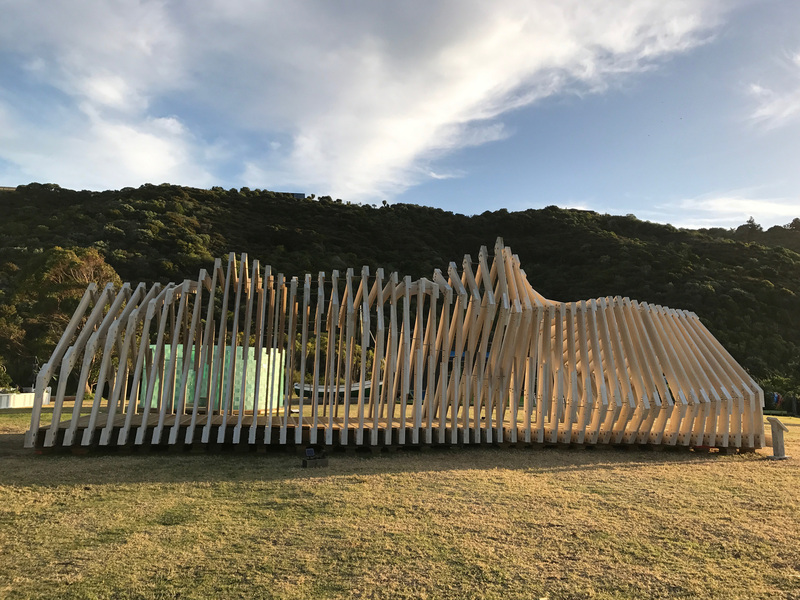 The skeletal architectural sculpture is an inventive elaboration on the New Zealand traditions of timber and boat building. 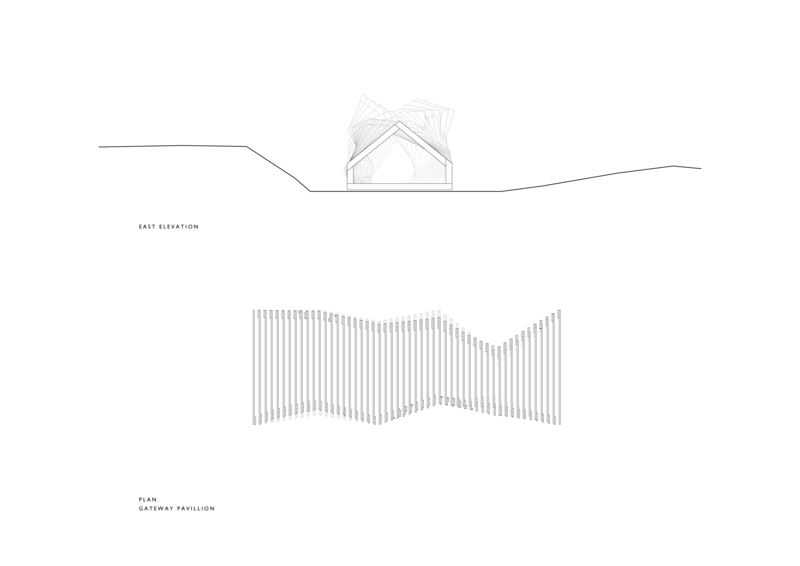 The pavilion takes the form of an achitypal gable or Whare, creating a gateway or Waharoa. 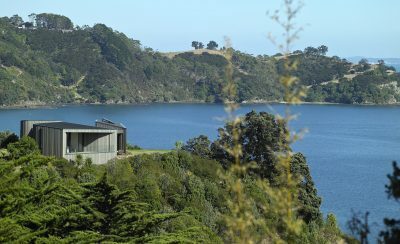 The body of the structure morphs and twists with an organic geometry reminiscent of craggy cliff faces or gnarled driftwood, only to return to the Whare form at the other end. 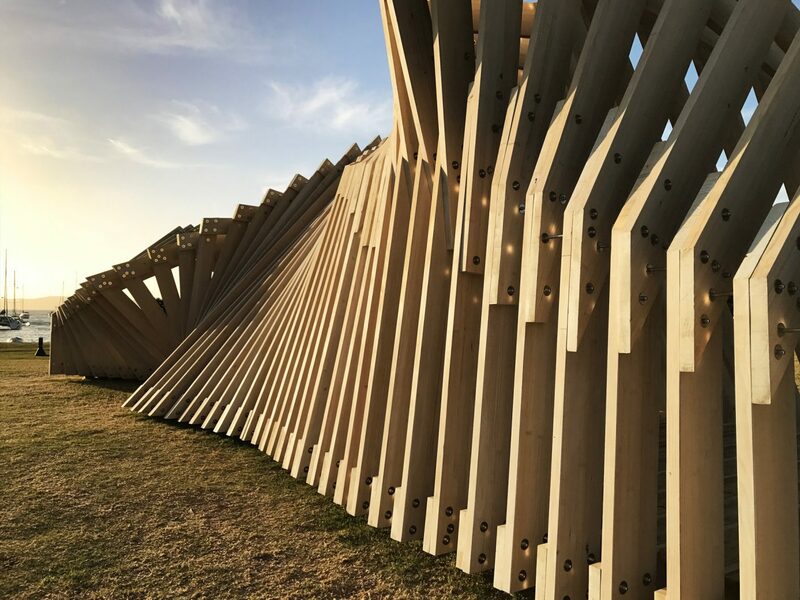 Designed to be experienced dynamically as the visitor moves around and through it, presents an immersive spatial experience of form, light and materiality. 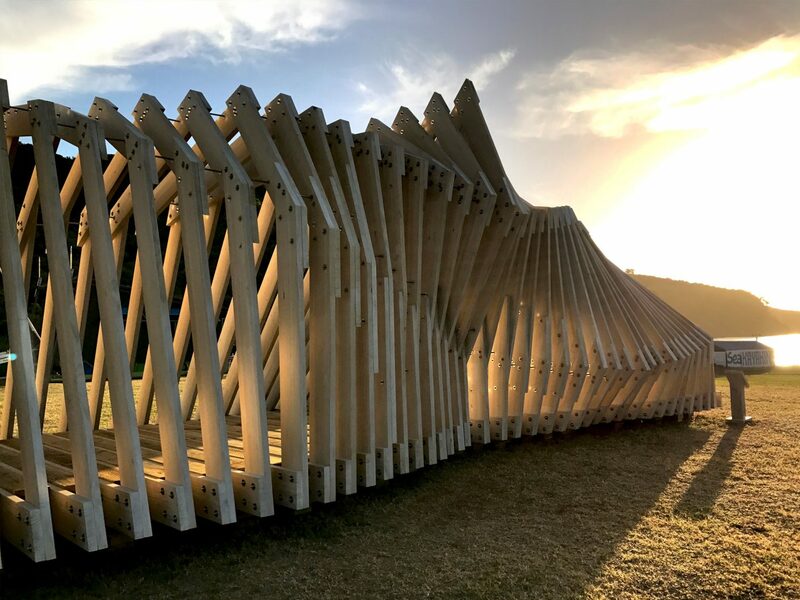 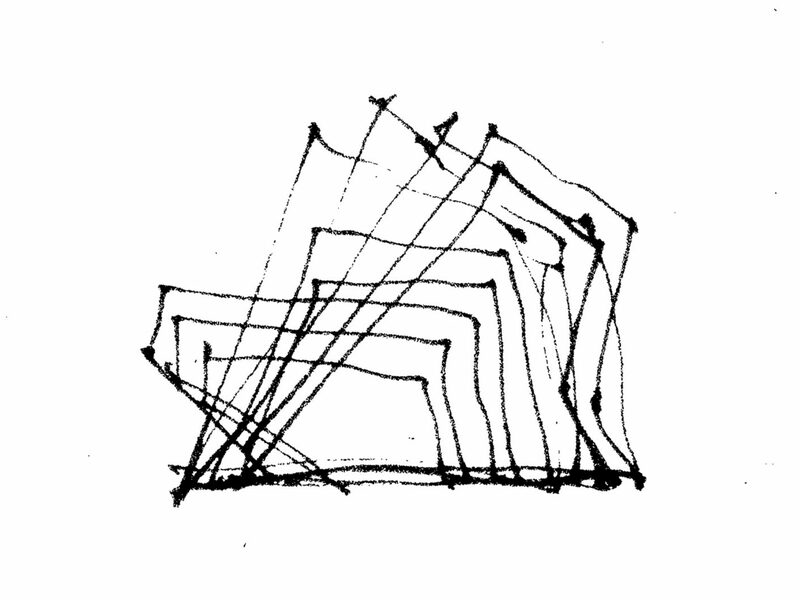 While this sculptural form presents the dance between nature and culture, the poetics of geometry and the tectonics of transformation; the pavilion aims to create an object of beauty and intrigue with a sense of belonging and place.